Baby shopping at 27 weeks. Used or new? And as he starts making his presence known, I notice I’m starting to get a little baby shopping crazy. Every time I see adorable baby clothes, I want to buy everything! Scott and I have been searching the Internet for the best and safest cribs out there. But what I really want to buy immediately – jogging strollers. 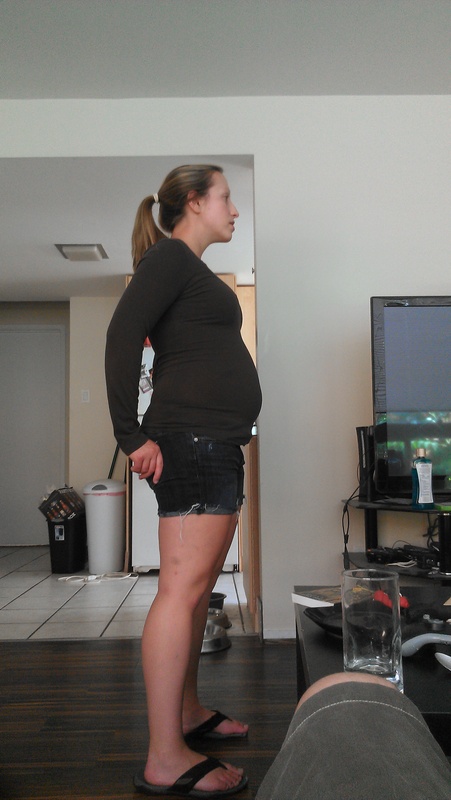 The little one won’t make an appearance until October, which means the opportunity to even use a stroller will have to wait until closer to March. But I can’t help it, as the weight increases (I’m going to admit it – 20 pounds so far), the idea of a jogging stroller is even more appealing. I want to be that crazy person running in Salt Lake City with a stroller and 2 dogs. 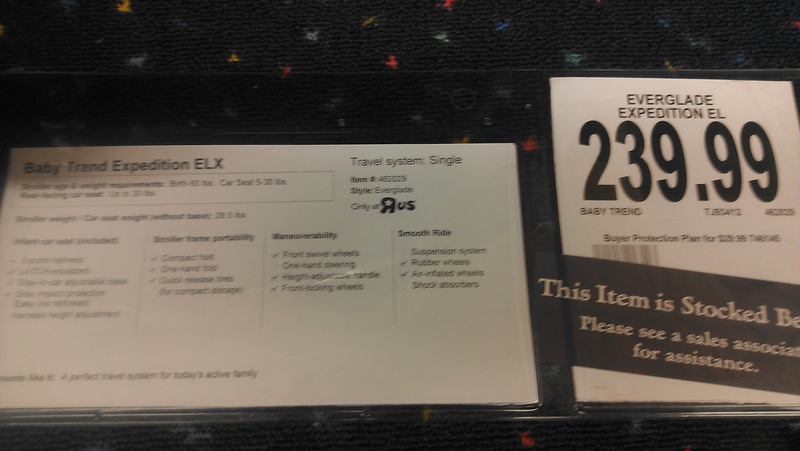 But as you can see, it comes with a price tag, which includes the stroller and car seat. 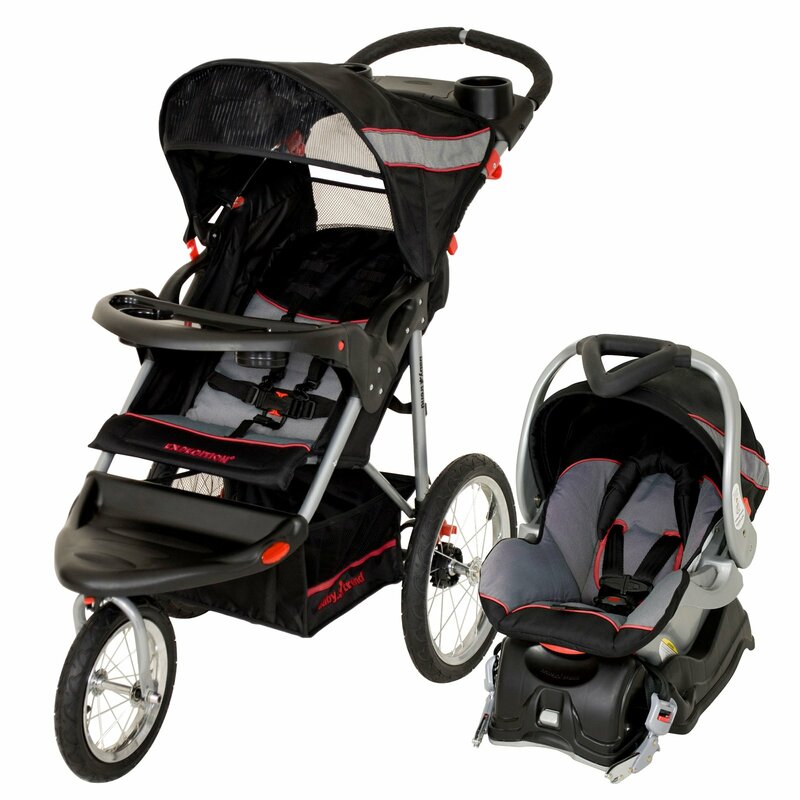 I looked up most jogging strollers on their own, they’re at least $150. So here’s my question – is an extra $80 a good price for a car seat that is getting good safety ratings? Or, should we start searching on Amazon or local used baby shops for these kind of supplies? I want a stroller that I’ll end up using for the next few years, and I’m nervous about a used car seat. So I’m calling out to all Moms out there – is it better to go new or used? Or is that a decent price for even a new one? We’re already planning on going new for the crib, so the idea would be to cut back in other areas. Open to all opinions: Go! 1. I’d NEVER buy a used car seat. Ever. I just don’t trust them, and the laws for re-selling car seats are pretty strict, car seats expire even! 2. Jogging strollers are expensive, but so are most things for a baby. On average the typical cost for a baby item is about $130, so the cost of the stroller isn’t terrible considering what it comes with. Have you checked out KSL or Kid-to-kid? Even babies-r-us has some great sets on sale for cheap. In Alaska stores couldn’t sell used car seats, there is no way of knowing the history. I vote new car seat, used stroller!